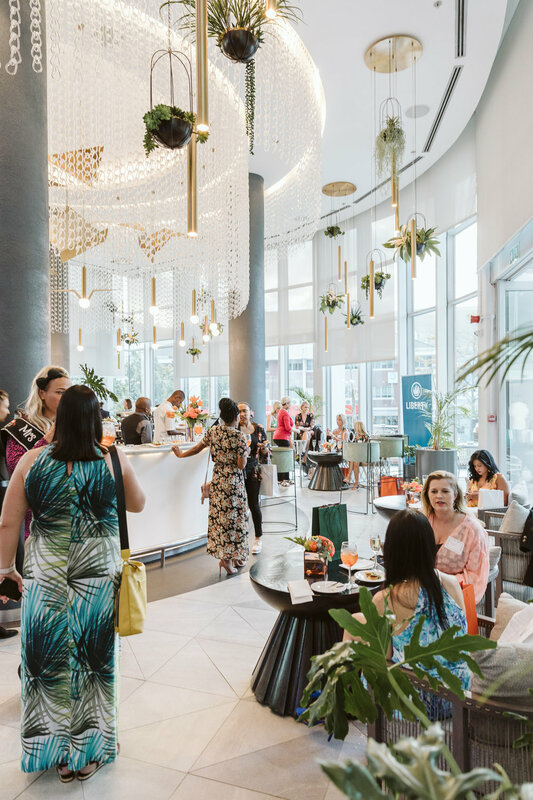 Cape Town’s Urban Oasis, 15 on Orange Hotel, Autograph Collection, housed the launch of bespoke concierge company, Tové Experience on Thursday, 11 April 2019, welcoming the top tier of SA’s travel, tourism, hospitality and entertainment sectors. Cape Town to Ibiza concierge and destination specialists, Tové, caters for both local and international travel markets. Curating tailor-made premium packages, they offer personalized service and experiences of the highest standard. Tové Founder, Anthea Scholtz, explains; “Nothing is too big nor too small for the company - and our ethos aligns with creating the most special experiences while on holiday or business trips.” With over a decade of music and entertainment industry experience coupled with an intricate knowledge of the hospitality space Scholtz spearheaded the concierge business with full tenacity. Refined whereabouts of Ibitha from a six-year residency further equipped Scholtz for the launch of Tove - Scandinavian translation for ‘Lady Thor or Goddess of Thunder’. A fitting name for an ethic of tireless service delivery. Experiential marketer, brand and event specialist, Sivu Nobongoza, recently joined forces with Scholtz, playing a pivotal role in both the Tové style execution and client relations management. Nobongoza’s drive resides in the unfolding of an entirely new realm of possibilities for those visiting the Mother City. Two years of success to date in providing personalized tailor-made services the concierge cover spans from villas, hotels and guest houses, and VIP nightlife to bespoke city, wine, safari, peninsula and helicopter tours. As well as transfers, chauffeur services, jewelry and private shopping, in-house personal trainers, and mobile beauty therapists and more. 15 on Orange catered an ideal location for the discerning travel and hospitality specialists. 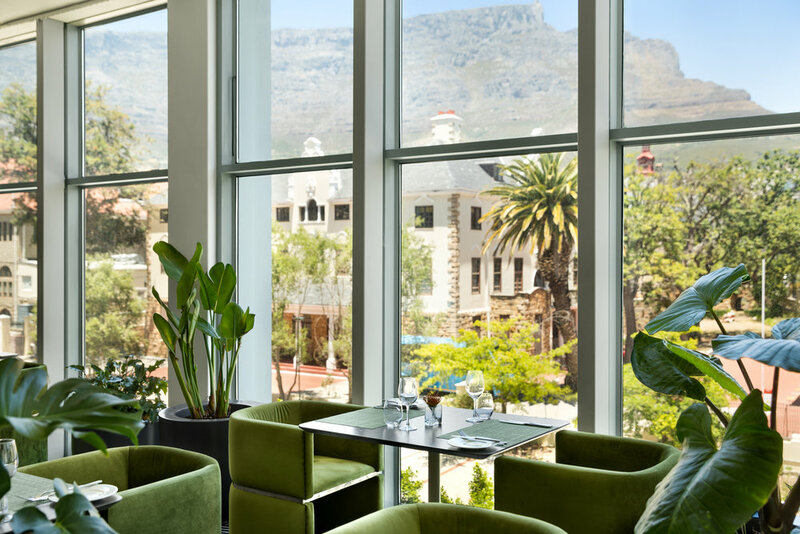 The recently refurbished five-star venue showcased in all its magnificence, luxurious modernity and lush greenery, complimented by breathtaking views of Table Mountain and Lion’s Head. Upcoming events at 15 on Orange include a Chambord Royale Freedom Day Celebration on 27 April 2019 – a three course luncheon and celebrity panel discussion [TICKETS / EVENT PAGE]; as well as the First Thursday Autograph Collection Movie Nights – Fantasy Edition. This series of experiential First Thursdays kicks off on 2 May 2019, with Alice in Wonderland (2010) by Tim Burton, offering a two-course dinner, Wixworth Art of Gin Mixology bar and Linnea Frank art exhibition [TICKETS / EVENT PAGE]. Ayama’s harvest season begins long before the sweet, ripe bunches of grapes are taken off of the vines. It is the time when all the year’s efforts, attention, passion, projects and dreams about the new wines become a reality. It’s a time of intense focus and hard, manual labour. The Italian passion for fine wine and conservation are inseparable elements of Ayama Slent owners Michela and Attilio Dalpiaz. A decade ago, they left their Northern Italian home to go on holiday with friends in South Africa. Like many others, they fell in love with South Africa, the people, the weather and the wine. Slent translates to land, people and passion, evident in every bottle beautifully produced from the 62 hectares of vineyards with tender, love and care. The weather typically plays a big role in how a harvest runs. Heat, rain, sunshine and wind can all have an impact on how things play out over the weeks and months of the harvest. It’s a stressful time for those involved but it is an extremely fulfilling process in the end. The 2019 harvest of Ayama has been extremely rewarding, the vineyards have been under pressure for three years and the challenge for 2018/2019 season was reaching the balance of the grapes in terms of quantity and quality partially recovering from the recent Western Cape drought. Every single person part of the Ayama family has put their heart and soul into this harvest all Winter and Spring to ensure the necessary attention were given to the vineyards, by helping them reaching that perfect balance. At the beginning of Summer Michela and Attilio were sure that they will be harvesting two weeks later than usual, but to their surprise climate conditions during November/December 2018 sped up the ripening process in many of the grapes. By the end of January 2019, Ayama found themselves harvesting non-stop until end-February. Blithely, one variety after the other, all grapes harvested was successfully delivered to the cellar ready to start their aging process. Ayama is delighted to announce that they have officially closed their harvest season on the 20th of March 2019. In celebration of a triumphant harvest season Ayama will be having a special offer on their online store, Ayamateca. On any order above R1,500 customers will receive a Vermentino Magnum for free. (Cape Town, South Africa) - Decadent dining meets the mastered art of single malt Scotch whisky. 15 On Orange Hotel, Autograph Collection, hosted a Tové Experience, Savour Restaurant and The Glenlivet Whisky Pairing, on Thursday, 28 March, spearheaded by Executive Chef and culinary mastermind, Tamsyn Wells together with whisky connoisseur, Vuyisile Dlepu. 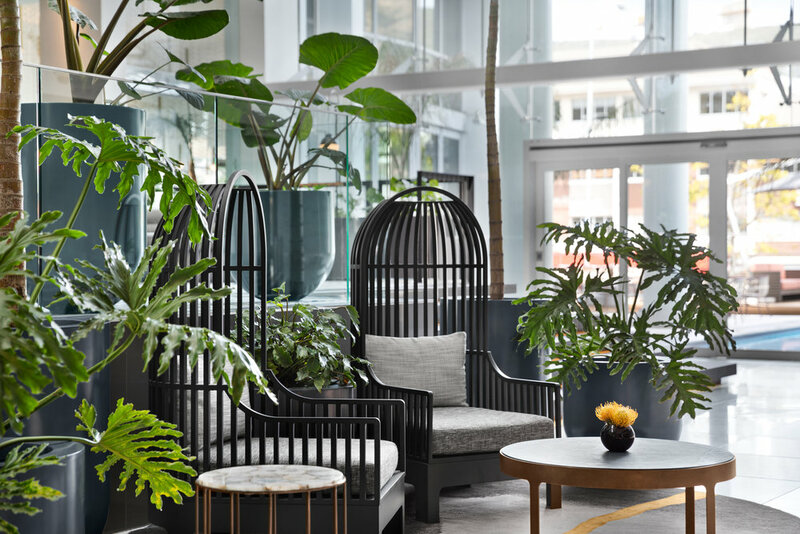 Situated in the heart of the city, the newly refurbished Urban Oasis welcomes guests to a magnificent, majestic setting of luxurious modernity and lush greenery, complemented by breath-taking views of Table Mountain and Lion’s Head. The four-course dinner experience highlighted Chef Tamsyn’s immaculate adaptation of the increasingly popular international bistronomy food trend, paired with a variety of exquisite whiskys from The Glenlivet. The immersive sensory experience commenced with the Tové Experience VIP guests arriving in slick ensembles, setting the esteemed ambiance for the evening ahead. The Glenlivet’s newest family member, the Founder’s Reserve, with a long, creamy and smooth finish, received guests in accompaniment to the perfect pairing of a potato spun tiger prawn amuse bouche. Whiskey master, Dlepu, painted the history of The Glenlivet through an engulfing introductory speech before guests moved swiftly onto their next pairing: The Glenlivet Twelve Year Old. The smooth and fruity notes were superbly balanced against the smoked paprika seared Norwegian salmon, served with grilled broccolini, saffron-scented potato, gremolata crumb and lemon butter. Between courses guests enjoyed the fully-fledged craftsmanship of The Glenlivet Guardians’ 200-year history with an immersive live jazz performance by Italian songstress, Francesca Biancoli and renowned guitarist, Alvin Dyers. For the second course, Chef Wells delighted the taste buds with roast chalmar beef fillet with charred spring onion, onion chutney, pickled and roast onion puree with truffled potato fritter and peppercorn sauce. 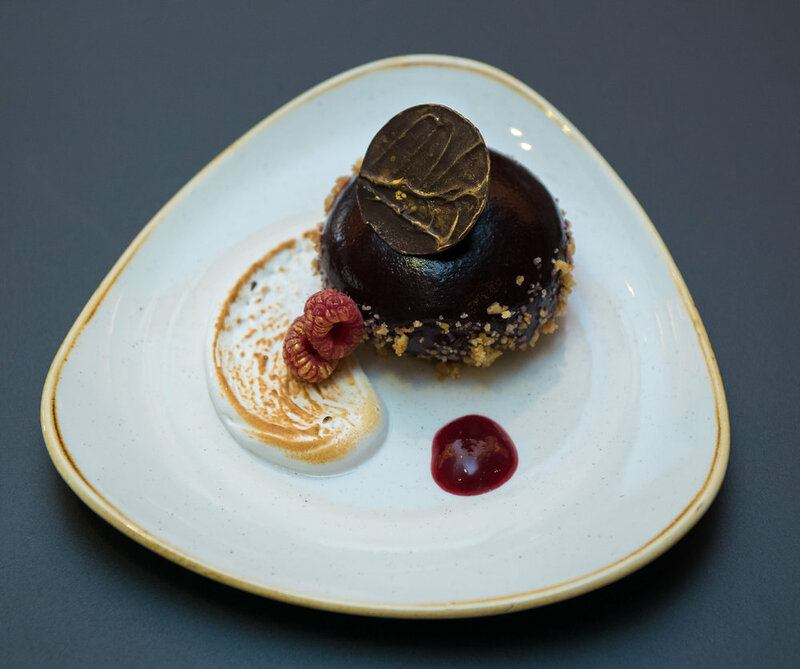 This dish gave the opportunity for The Glenlivet Fifteen Year Old to shine, the perfect whiskey to pair with a red meat dish, resulting in a lingering sweet almond and spice finish. The link from savoury to sweet - a flavour interlude by patisserie chef, Retha Thorpe - creating a true invitation to indulgence, comprising bitter chocolate cremeux with ginger, dark chocolate honeycomb, candied ginger and orange zest. The Glenlivet Eighteen Year Old had an excellent flow on the palate with a balanced burst of sweet orange. 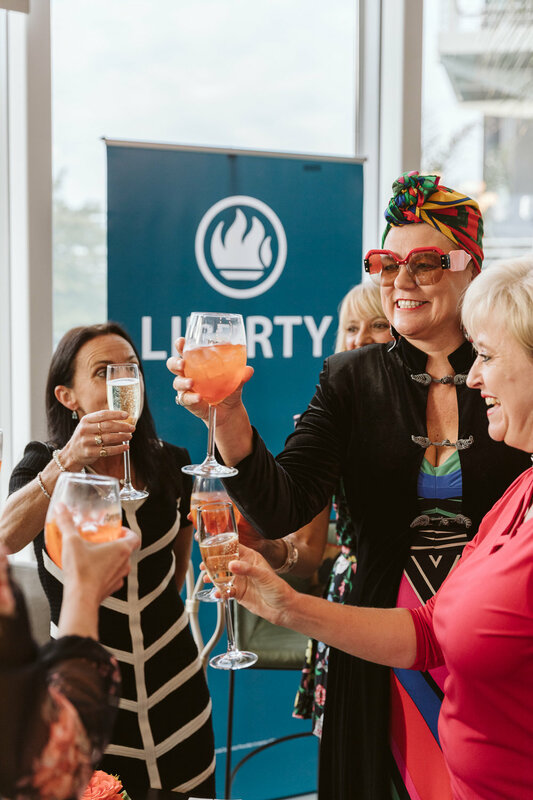 On Thursday, 7 March 2019 a group of influential women joined together to celebrate Empower Me network’s one-year anniversary. Esteemed guests, delicious cocktails, live music and culinary delights; combined with the incredible spirit of feminine unity, encompassed this more-than-memorable occasion set in Cape Town’s premium 15 On Orange, Autograph Collection Hotel. Set in one of Cape Town’s most picturesque venues, overlooking the breath-taking Table Mountain and Lion’s Head, guests arrived to uplifting beats played by DJ Anthea Scholtz and were welcomed with cocktails by Aperol, Deetlefs and The Duchess. An array of delectable canapés, created by the hotel’s renowned executive chef, Tamsyn Wells, circulated throughout the venue. The newly renovated Urban Oasis lounge and poolside bar area with its lush greenery was a perfect match to the Island Chic theme of the event. Empower Me is an exclusive women’s network – the first of its kind to offer a diverse platform to empowering women in different areas of their lives. Inspiring and motivating women to become the best authentic version of themselves. 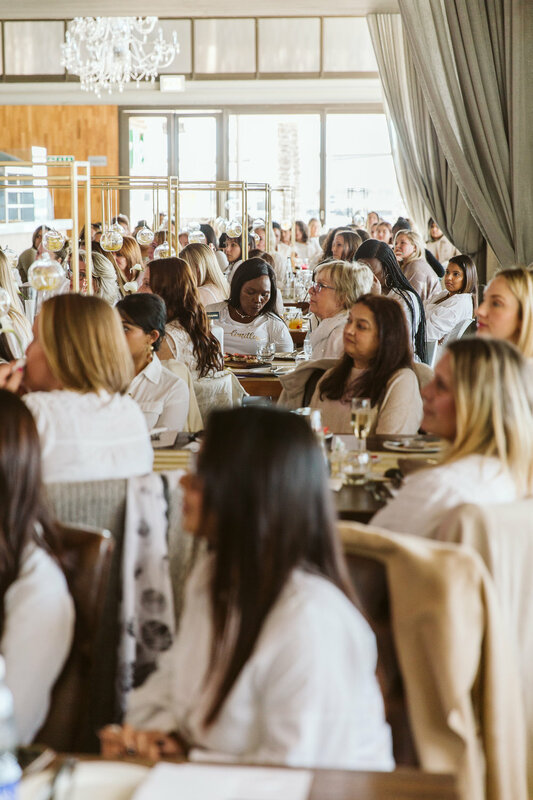 This one-of-a-kind networking event gave the opportunity for multi-faceted modern females to interact with like-minded women. In the spirit of empowerment, the esteemed guests were given the opportunity to empower other less affluent women in South Africa through donating to the non-profit organization Great Girls. This mentorship programme is run by a diverse group of women in Cape Town, that aims to bridge the gap between high-school education and full-time employment for disadvantaged girls. Guests were spoilt with the chance to win in the luxury lucky-draws. Over and above this guests went home with goodie bags filled with gifts from Caribbean Tan, Deetlefs Wine, Carolina Herrera, Chocolate by Tomes, BOS ice tea, Fairlady, True Love and Women’s Health magazines. This influential event exceeded the expectations of the guests, leaving them with a more than spectacular evening. 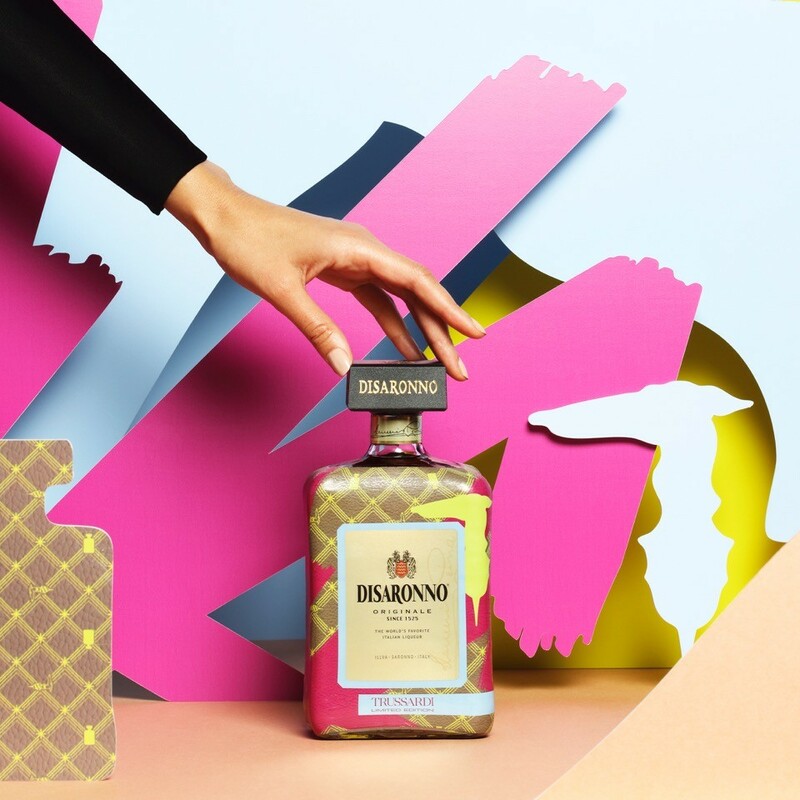 WIN a Limited Edition Disaronno wears Trussardi Gift Set! 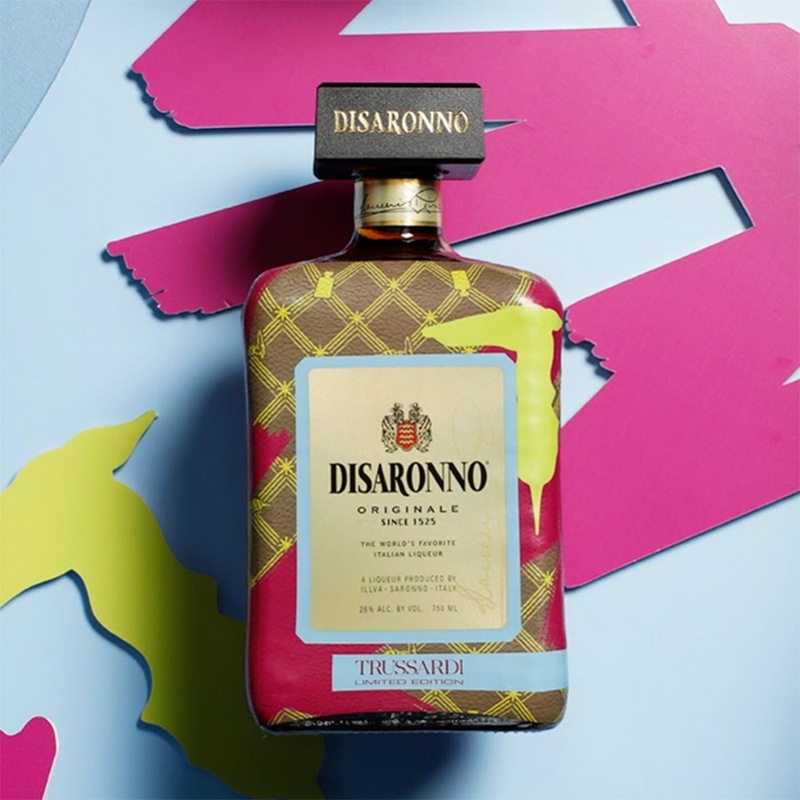 Disaronno® returns with its sixth Limited Edition designer bottle: “Disaronno wears Trussardi”, once again choosing the Italian lifestyle brand to dress its trademark bottle. Italian tradition, innovation and elegance are shared values between these two iconic brands. Trussardi’s recognizable textures combined with the Greyhound monogram in fuchsia, green and light blue brush strokes framing the signature bottle, with an eye-catching contemporary result. 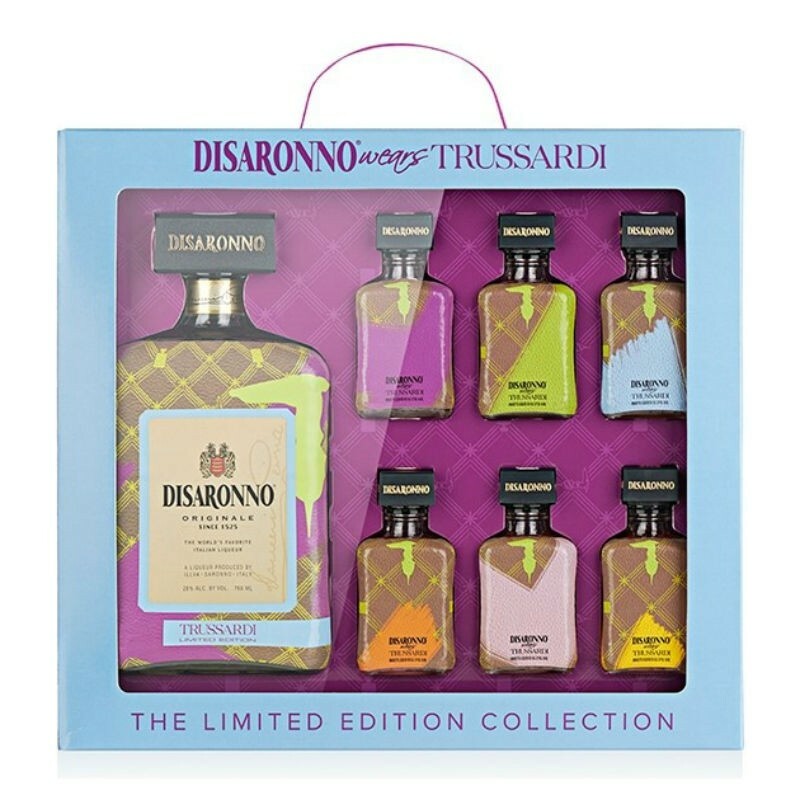 The new Disaronno wears Trussardi bottle is the ideal gift for style enthusiasts. The ultimate star of parties, perfect for a splash of colour in the home and above all – to enjoy its unique taste and quality, for special moments in the company of friends. TO ENTER: Go to our Facebook Page and in the comments section tell us how you best enjoy your Disaronno - be it on the rocks, cocktail infused or as a baking ingredient. The limited Edition 'Disaronno Wears Trussardi' gift set is valued at R1000 per and comprises a 750 ml bottle and 6 miniatures. 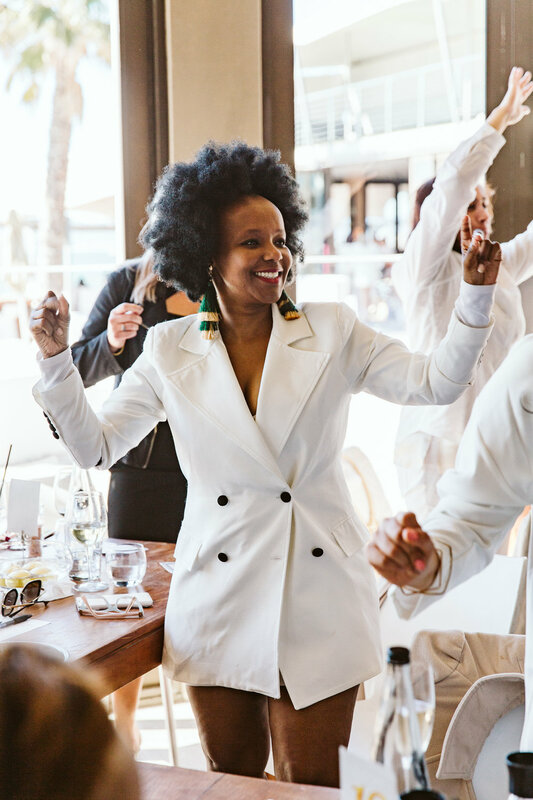 The exclusive women’s network, Empower Me, invites ladies to join in celebrating their One Year Birthday, hosted at Cape Town’s chic Urban Oasis, 15 On Orange, on Thursday 7 March, 2019. The cocktail evening, coinciding with First Thursday, offers a networking opportunity at the glamorous new poolside bar. Commencing at 6:30 pm, guests will enjoy a variety of complimentary welcome drinks, delectable bowl dining and live entertainment by DJ Anthea Scholtz. Each of the attendees will also receive a fabulous goody bag and stand to win prizes, including an overnight stay for two including breakfast at the five Star 15 on Orange Hotel, Autograph collection. Empower Me was founded by Financial Advisor, Janine Brink with the aim to inspire, motivate and empower women to become the best authentic version of themselves. Hosting glamorous monthly events with prolific guest speakers, on a range of pertinent topics relevant to different areas of women’s lives. Empower Me also offers a limited VIP Club entitling members to various value-ads and discounts from luxury brand affiliates. As of March 2019, the women’s network will be introducing various workshops throughout the year. Tickets are priced at R350. Bookings in advance is essential. A portion of the ticket sales will be donated to the NPO, Great Girls. For more information on the Empower Me Birthday Soiree go to the Facebook Event Page or contact Janine Brink 079 036 7823 or go to www.empower-me.co.za. 15 On Orange, Autograph Collection, hosted the Savour and Ayama Pairing on Thursday, 28 February from 12:30pm to 3pm. Spearheaded by Slent Farm owner, Michela Dalpiaz and Executive Chef at 15 On Orange, Tamsyn Wells. 15 On Orange is situated in the heart of the city, as you enter this newly refurbished Urban Oasis you are welcomed by a magnificent setting, a delightful marriage of luxurious modernity and lush greenery with the breathtaking views of table mountain. The six-course luncheon highlighted Chef Tamsyn’s immaculate adaptation of the international bistromony food trend paired with a variety of exquisite wines from Ayama. The immersive sensory experience kicked off with a glass of Ayama Leopard Spot White 2017; the freshness of the wine made for an ideal pairing with the Beef fillet tartare, crispy beef lard, potato, chives and parmesan. Next was a true taste of Italy on our South African soils. 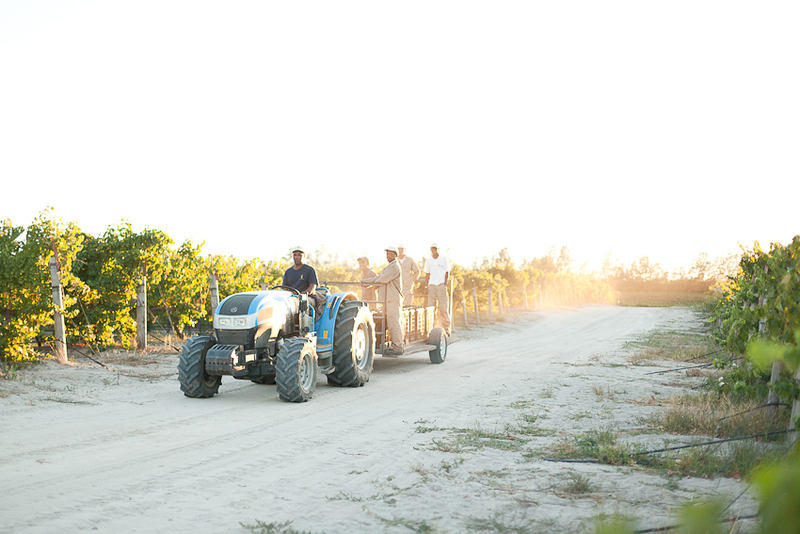 Being the very first Vermentino to be grown and harvested in South Africa, after six long years of propagation in quarantine, 2014 saw the first hectare released from the nursery for planting at AYAMA. A glass of classic Sardinia Vermentino offered up lively aromas of pear, white peach, lime and pink grapefruit with subtle notes of crushed rocks and citrus zest, perfectly paired with the first course; Beetroot and goats chevin, baby candy beetroot, pickled onion, quinoa, cashew tahini and candied walnut. For the third course the executive chef, Tamsyn Wells delighted the taste buds with dill cured gravadlax, shaved asparagus, pickled radish, citrus crème and ikura caviar paired with the Ayma Baboons Cheek Viognier 2017. Michela entertained the guests with tales of the farm and the successes they have had over the past few years, including being a first-time winner in 2015 at the Absa Top 10 trophies for their respective Pinotage 2017. The Pinotage has rich tasting notes; flavours of ripe plums and cherries, rich with a persistent finish with aromas of overripe berries, blackcurrants, and an earthy undertone, a harmonious balance noted by an elegant structure. This established wine was perfectly matched with the roast chalmar beef rib eye and vanilla puree, sauerkraut and mushroom soil. To bridge the guests from savoury to sweet, Tamsyn created a mouth-watering fifth course with traits similar to a cheese board – Forest hill manchego cheese, spiced plum compote and seeded parmesan, the Ayama Petite Sirah had an excellent flow through onto the palate resulting in the perfect pairing. The last course was the one no one expected, created by 15 On Orange’s Executive Pastry Chef, Retha Thorpe. A beautiful work of art consisting of a cherry glaze, crisp wafer center and burnt meringue left the guests speechless and wanting more. This presentation of exquisite wine and culinary arts highlighted the variety of dishes 15 On Orange has to offer for all their guests at the Savour Restaurant. 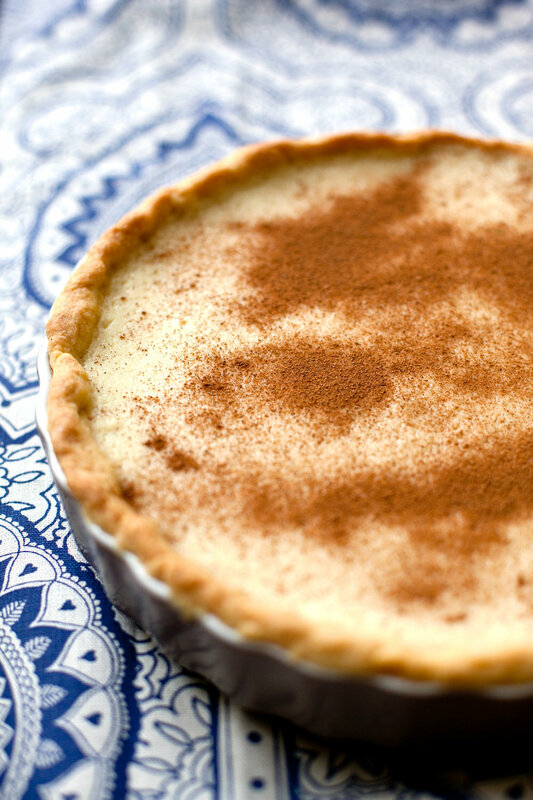 It's National Milk Tart Day! Blitz the biscuits until fine. 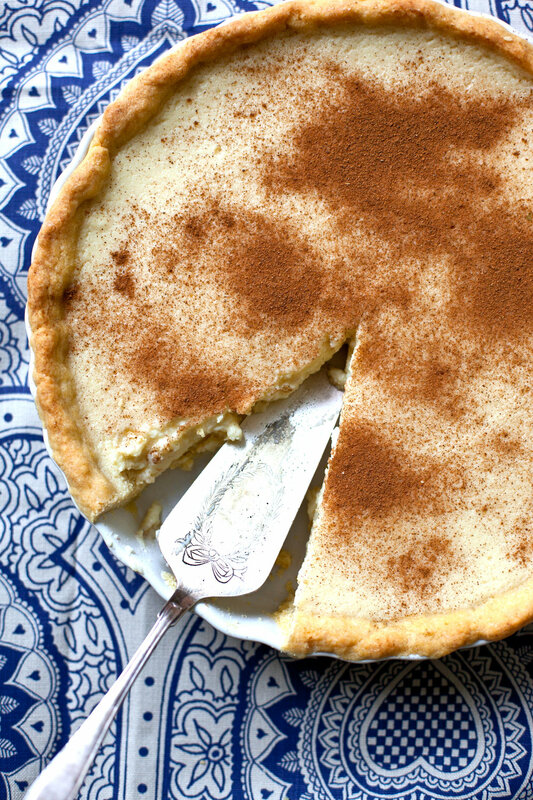 Mix in the butter and press into a 27cm fluted tart dish. Chill in the fridge. 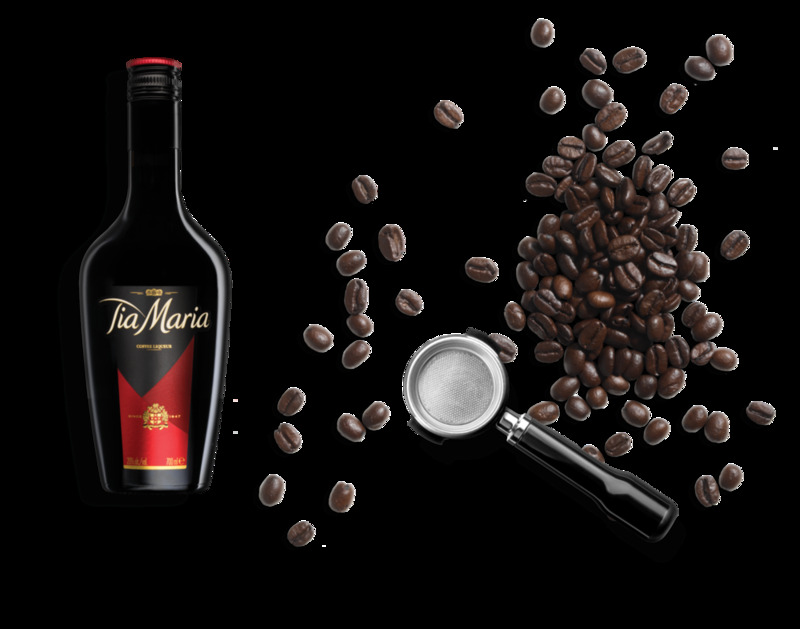 Combine condensed milk, Tia Maria and milk, and microwave for 3 minutes. Combine the cornflour, water, vanilla, eggs and salt. Stir this mixture into the condensed milk mixture until smooth. Microwave for about 5 minutes, stirring every minute, until starting to thicken. Pour over the biscuit base. Keep aside until set and cooled. Dust with cinnamon. Looking for a romantic urban oasis to celebrate at this Valentine’s Day? 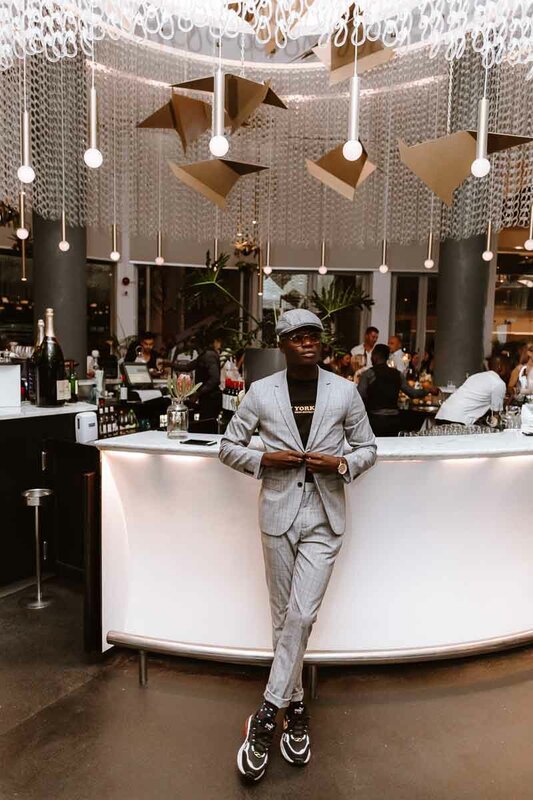 The glamorously refurbed 15 on Orange Autograph Collection Hotel invites guests (in-house and public) to wine and dine in decadence on Thursday, 14 February 2019. Savour Restaurant’s Executive chef, Tamsyn Wells, will be serving up a discerningly delectable five-course set menu (R550) paired perfectly with award-winning Ayama Wines. Guests will also receive a complimentary welcome drink and Valentine’s gift, as well as standing a chance to win a stay-for-two compliments of Marriott. Seductive dishes will be served up such as the Grilled crispy skin seabass with chorizo cassoulet, parsnip crisps and arugula salad; Roast Chalmar beef fillet served with smoked bone marrow jus, grilled shallots, potato fondant and beetroot puree and their Dulcey and bitter chocolate semifreddo with meringue, cherries in kirsch and candied hazelnuts to name a few. The feastery of fusion flavours is set amidst an illustrious inner-city oasis like setting. Five-star sophistication with state-of-the-art furnishings surrounded by double and triple volume glass walls unveiling unsurpassed views of Table Mountain and Lions Head; welcoming in an immersive summer-sunset dining golden glow. Live entertainment by Francesca Biancoli for added auditory ambience to complete the five-star experience. Seating is limited and bookings in advance essential. To place your reservation, contact 021 469 8000 or reservations@15onorangehotel.com. For more information on the Valentine’s Day event email melissa@redcarpetconcepts.co.za. If you’re under pressure and not sure what do this Valentine’s Day, we’ve got you covered. Instead of rushing for those last minute overpriced gifts, why not book an unforgettable romantic experience and earn all the brownie points you deserve from your significant other! 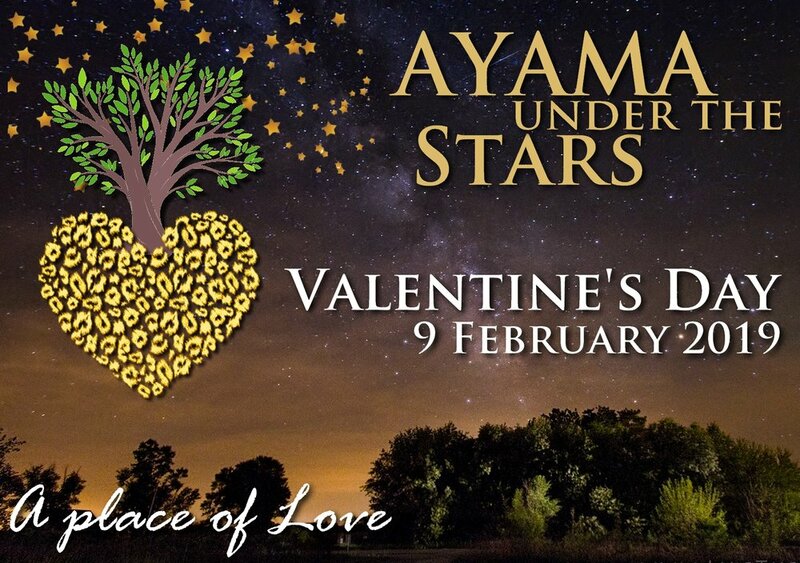 Ayama Slent Farms will be hosting a romantic twilight dinner this Valentine’s Day. Upon arrival, guests will be treated to a glass of bubbly to set the mood for an evening spent under the stars. Delight your palate and your senses with extraordinary Italian food curated by executive chefs, Ayama-Style Wines and soft live music.